Home / Blog / Email Deliverability / Should You Buy Email Lists? Should You Buy Email Lists? Buying an email list might seem like the perfect solution for increasing your brand or community group’s reach. Spend a few hundred bucks, and you get instant access to thousands of email addresses you can add to your list, right? You might be thinking that when you buy email lists, surely once you start sending your email newsletter, at least a few hundred of those people will be interested in what you have to say, helping to bump up your numbers. Sound too good to be true? That’s because it is. If you are wondering if you should buy an email list, the answer is a resounding no. Even if the company you’re thinking about buying from says it’s a verified list. Even if it’s a third-party list, where people “technically” opted in by agreeing to be contacted by related partners. Buying an email list is always a bad idea. Not only are there ethical issues around buying someone’s data without their knowledge, but buying email addresses isn’t even effective. Your goal is to reach people who are interested in what you have to share, but when you buy a list you have no way of knowing who the people on the list are. Here are a few more reasons why you should never buy email lists. Emailing people without their permission is just plain rude. People check their email in bed, on the couch after dinner, while eating breakfast in the morning. Email gives you direct access to people in their private space, and many people view unsolicited email as a violation. Not to mention the fact it makes your organization look spammy and unprofessional. For more, check out How the MailPoet Sending Service Helps You Avoid the Spam Box. Even a great email list will degrade year-on-year. People move jobs, they get new email addresses, they stop using outdated email service providers. The general rule is that any email list that is over one-year-old, and that is not maintained, is at risk of a high bounce rate. At MailPoet, the team flags users that have bounces greater than 5%. Any repeat offenders are banned and their accounts cancelled. It’s these kinds of stringent practices that enable MailPoet to maintain its high 98.5% delivery rate. If you buy email lists, you have no way of knowing how many of those addresses are valid or still in use. This can result in a low email deliverability rate, which can cause issues with your email service provider. In most cases, when you buy email lists, you are not the only one who has purchased that list. The email addresses may have been sold to hundreds of other companies. Other purchasers might include your competitors, scammers, or brands totally unrelated to your niche. Often times, people simply close those email accounts and start over once they begin to get dozens of unsolicited emails. Internet Service Providers (ISP) and email providers like Gmail use a variety of tools to protect their user’s email inbox from being overrun with spam. One of these tools is called a blacklist, which is a database of IP or domain names that an ISP determines are likely to be spam. Another tool is honeypots, which are real but inactive accounts that email providers keep as traps. Basically, if you send an email to one of these inboxes, you’re doomed when you buy email lists. When an email user receives an email, they have the option to mark it as “spam.” If an ISP or email provider sees that multiple people have marked your messages as spam, you could be placed on a blacklist, which will prevent your list from seeing your newsletter. For more on blacklisting, check out MailPoet’s handy checklist for use before importing subscribers. Email service providers want to protect the ability of all their customers to send emails to their lists. In fact, most ESPs have policies prohibiting the use of purchased email addresses. Why? This is what happens: You send emails to your 1,000 purchased email addresses. Let’s say 25 of the people who receive your emails mark them as spam, which results in you being blacklisted. Here is the issue: Blacklists are usually at the domain or IP address level. This means all the emails from that IP address or domain will be blacklisted, including other, legitimate users. The ESP now has to go to bat to get their IP address or server removed from the blacklist so other users (who didn’t break the rules) can send emails. If you get busted using a purchased list, you could have your account terminated by your email service provider or you could even face legal action. In addition to the possible consequences listed above, buying email lists simply isn’t as effective as building your own email list. Why? Because when you buy 30,000 email addresses and start emailing subscribers about your absolutely amazing Black Friday Sale, you are essentially cold-calling those people. These people have no idea who you are, what you stand for, and may very well not be in your target audience or even care about your niche. They didn’t ask for information about your company. You will have much better results emailing 1,000 people who have already expressed interest in your brand (by choosing to opt-in to your newsletter) than you will by emailing thousands of random email address that have no connection to your brand and, quite frankly, don’t care about you or what you offer. In addition, when you get signups organically, you can ask for additional information, such as interests or job titles, so that you can segment your email list. You have no way to get this information from a purchased list. It’s also worth highlighting that email service providers such as Gmail, Outlook and Yahoo now look at subscriber engagement at the user-level. This means if you send emails that have low open or click rates, you’ll be penalized — and it’s difficult backtrack once you’ve fallen out of favor with ESPs. Sending unsolicited email is unlikely to land you in jail, but it is against CAN-SPAM in the United States and GDPR in the EU. Both require email receivers to opt-in to emails. This is why many ESP support a double opt-in for email lists. CAN-SPAM is a set of laws that outlines the rules for sending commercial emails in the United States. You can read more about the rules on the FTC website. GDPR, or General Data Protection Regulation, is a set of laws enacted in 2018, which outlines data protection and privacy requirements in the European Union. You can read more about how GDPR applies to commercial email at gdpreu.org. 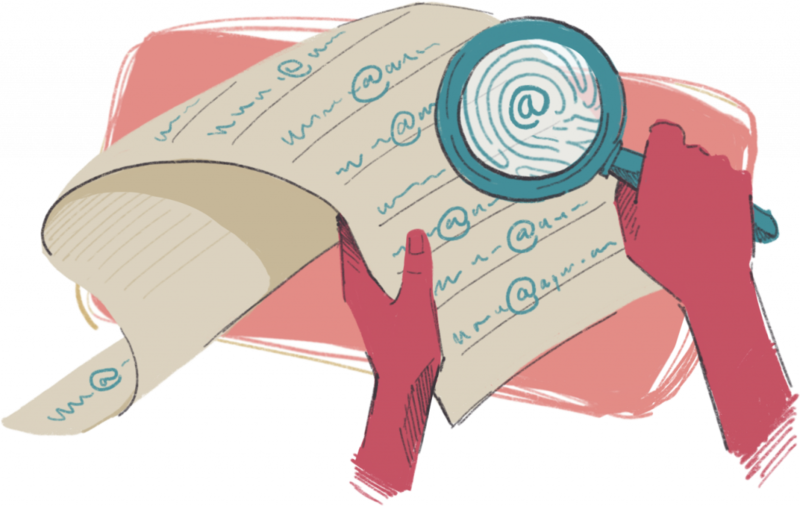 And MailPoet has also published GDPR: Get Ready for the New EU Privacy Law in Fifteen Minutes. For the record, MailPoet has a zero-tolerance policy towards spammers. If you’re found to be spamming, your account will be cancelled and you won’t refund. You can read the anti-spam policy here. For consumer email addresses, the average cost per 1,000 email addresses (often referred to as cost per mille or CPU) typically ranges from about $150-$350. That works out to $0.15- $0.35 per email address. Sound like a good deal? It isn’t. In addition to all the issues with buying email addresses we discussed above, building an email list is far cheaper. In fact, it doesn’t have to cost you any money at all. Instead of purchasing a dodgy list, invest your time in these email building list strategies. 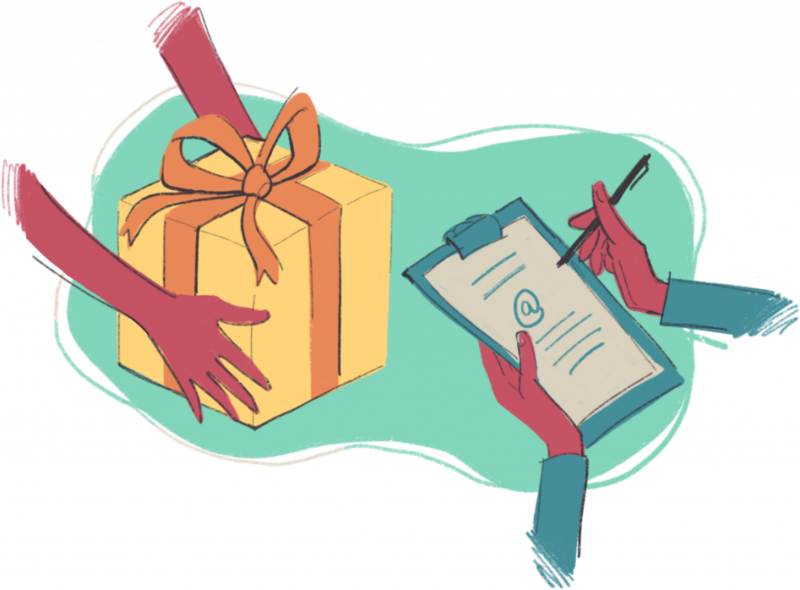 People love the thrill of winning, which makes contests a highly effective tool for building your email list. The key is to choose a prize that is general enough that plenty of people will want to enter your contests but specific enough that you won’t get a bunch of random email addresses. Avoid super generic prizes such as iPads or Visa gift cards, as these types of prizes are likely to attract people who want the prize but have no interest in your brand. This results in a lower quality of leads. Email addresses are valuable, so consider offering something of value in exchange for a user’s email address. Build a tool, create a short email course, or write an ebook targeted at your audience and offer it as an incentive to opt-in to your newsletter. Just make sure you ask them if they want your newsletter and make it very clear what they can expect when they sign up. For more on how to automatically send an ebook or PDF with MailPoet, check out this detailed guide. Added bonus: If your freebie is related to your industry (and it should be! ), you will only get addresses from people who are interested in what you do. Creating valuable in-depth content is one of the best ways to drive organic traffic to your website on a consistent basis. Bonus content is additional content that helps you leverage that traffic and encourage visitors to become email subscribers. For example, say you write a blog about the new tax laws and how they will affect self-employed people. You can make the most out of all the traffic you get by offering a tax prep checklist specifically for self-employed people as a content upgrade on the post. A few other content upgrade ideas: PDF version of the post, a case study, a list of resources, or worksheets. You can even use MailPoet to send out automated emails every time you publish a new blog post. Webinars can be highly effective for building your email list, establishing your company or organization as an education leader, and help you share valuable information with your audience. For example, let’s say you run an organization that connects parents who are looking to adopt with the resources they need. You host a free webinar discussing how to get started in the adoption process, which attracts parents who are considering adoptions but may be on the fence. They sign up for your webinar, you ask to add them to your email list, and now you have a large number of people who are in your niche. If you are considering hosting webinars, check out this list of the best webinar platforms. If you sell digital or physical products, there is a good chance you are already asking for emails to send tracking information or download links. Make sure you add an option to sign up for your newsletter, as well. Remember to allow people to choose to join your list, don’t just assume you can start emailing them about every sale because they signed up to get tracking information. Another simple, yet often overlooked, method for increasing email signups is to ask your social media followers to sign up for your email list. You can add a link to a landing page to any social media page, or you can integrate your ESP with your social media accounts. Maximize Social Business walks you through several ways to drive social followers to your email list. A self-built email list can be one of the most powerful assets your business has. It grants you direct access to people who have expressed an interest in your company or organization. There are no algorithms to contend with, no paying per click—just click send and your brand can be right in front of your target audience. Purchasing an email list is, quite simply, a waste of money that doesn’t work. Instead, work on building an email list yourself. The results will be worth the effort. If you aren’t familiar with the infrastructure underlying email technology, you might wonder – how exactly does it all work? 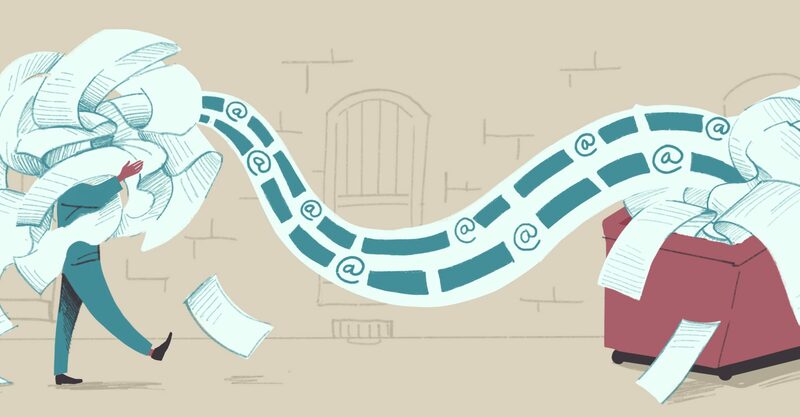 Specifically, you might wonder – what is the MailPoet Sending Service? And why should you use it? But, above all – why is a sending service necessary in the first place? Purchasing a mailing list is easy, but unfortunately it often contains obsolete or banned links. In the end, it’s a real waste of time. Moreover, with the compliance of data for the European GRPD, we must be careful! Email addresses must be collected with the consent of the recipient!